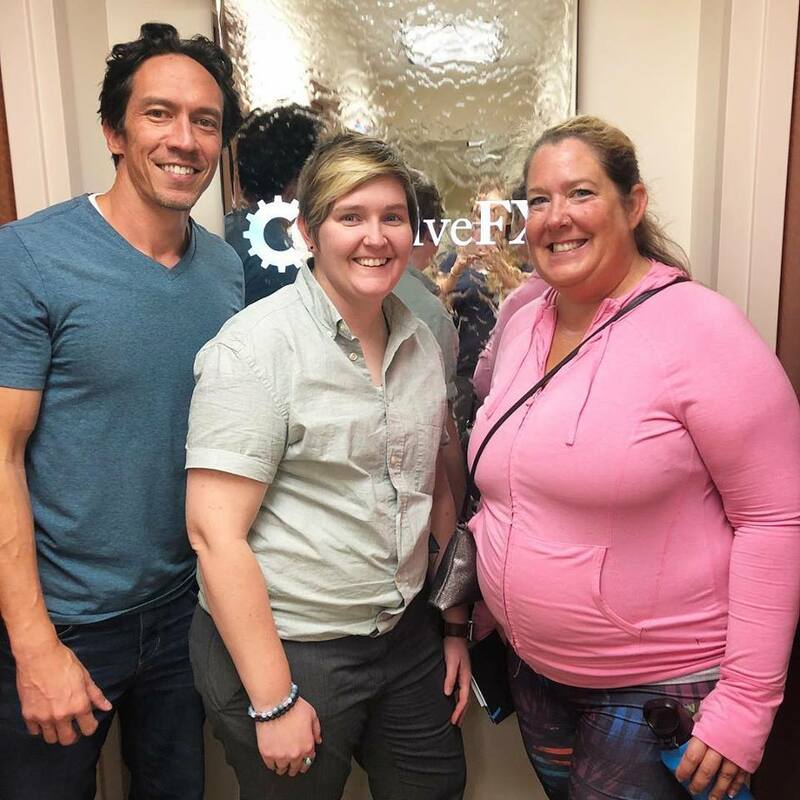 Last month I had the pleasure of spending four days at Cognitive FX (CFX) in Provo, UT to participate in their EPIC concussion treatment. 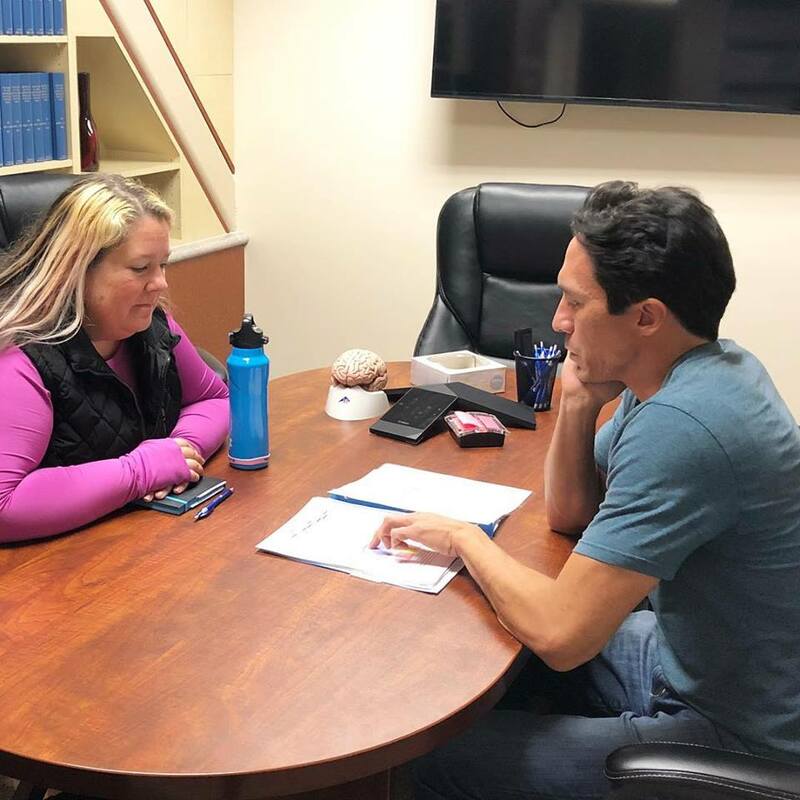 I was headed to Utah to keynote at the Utah Brain Injury Alliance conference on Friday, and was invited to spend four days (versus the traditional five days of treatment due to my speaking engagement) working with their amazing team. I was still struggling with overstimulation, overwhelm, and neuro fatigue and they were confident they could help me overcome these annoying symptoms with their treatment protocol. 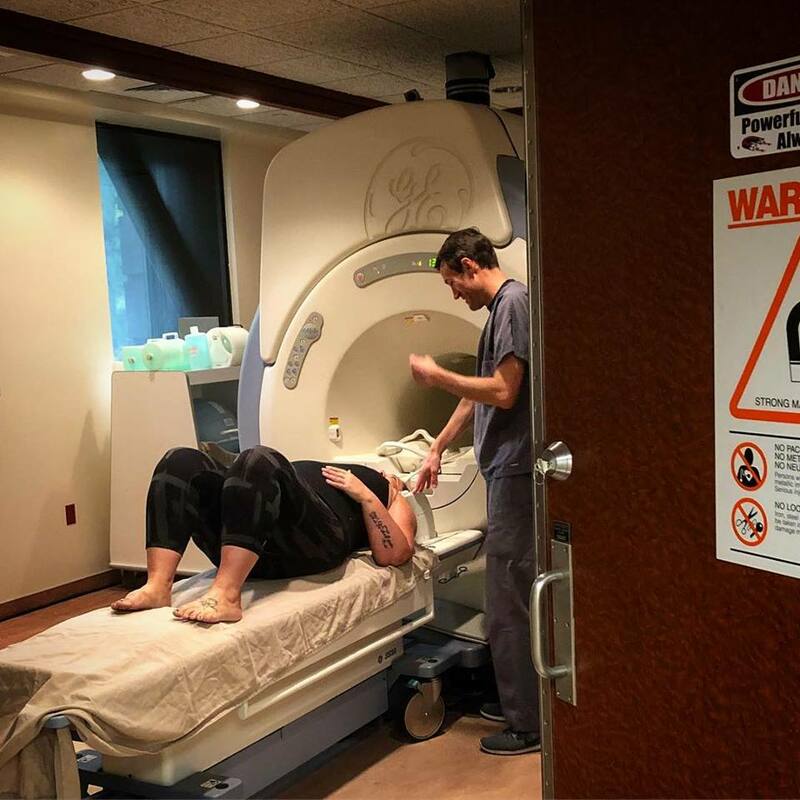 My week started out with a traditional MRI of my brain and cervical spine, along with a functional MRI — or fCNI (Functional NeuroCognitive Imaging). This imaging is done in the MRI machine while doing cognitive tasks … such as “think of as many words that begin with the letter T as you can.” The results show where your brain is or isn’t getting proper blood flow. Getting my final fMRI at Cognitive FX. These results validated everything I had been feeling for the past 4.5 years. I had been told by numerous healthcare providers, including a neurologist and a neuropsychologist, that I was basically faking it and that these issues couldn’t possibly be from hitting my head. I was told I needed antidepressants, Ritalin, and sleeping pills — all of which I refused even after they tried their hardest to convince me to take them. I instinctually knew that these drugs were “band aids” and wouldn’t actually address the core problem — at the time, I didn’t exactly know what that was other than a brain injury. In 2016 I found Dr. Jeremy Schmoe at Midwest Functional Neurology Center (MFNC) in Minneapolis. I was 2.5 years into my recovery and had given up on doctors after my experience with the neuropsychologist. He was the very first doctor to “get it” and make the connection between my eyes/vestibular system and what was going on with me symptom-wise. You can read more about my experience working with him HERE. Dr. Schmoe took me from feeling like crap 24/7 to feeling about 80% better during a week-long intensive treatment. My balance and dizziness had subsided, and my memory was improving at a rapid pace — I was beyond thrilled that a doctor had finally been able to help me. I was able to function at a level I hadn’t felt since my injury, yet I was still struggling with some of the cognitive challenges mentioned above. About a year after starting my treatment with Dr. Schmoe I met Dr. Alina Fong, one of three co-founders of Cognitive FX, at Brain Injury Awareness Day in Washington DC. I instantly connected with her and her attitude towards pharmacology — basically if you didn’t need antidepressants and Ritalin before your injury, you likely don’t need them afterwards. Instead, you need to address the core problem (um, hello — the brain)! Listen to my podcast with here HERE. with Katherine Snedaker from Pink Concussions, Anna Empey from CFX, and Rekha Iyer a fellow CFX patient. When Dr. Fong invited me to come work with them the week before my keynote, I was thrilled. I knew I still had room for improvement in my recovery and that it was mostly cognitive challenges that were lingering, vs. physical challenges. My test results blew me away. Even the staff was surprised that I was able to function at the level I currently was given what the results were showing. I know this was because of the hard work I did with Dr. Schmoe in the two years since I first met him, because I was basically a walking zombie when I walked into his office on the day of my exam. My four-day treatment schedule was based off of my test results so that they could hone-in on the areas that needed the most work. I spent the entire day 9am-5pm working with their team of cognitive therapists, occupational therapists, physical therapists, psychologists, and others who roles are escaping me at the moment. It was intense, and I had a break-down mid-day on Wednesday. I had been warned that this would likely happen throughout the week, yet it still took me by surprise as I hadn’t had a true break-down since I started working with Dr. Schmoe. The entire team at CFX pushed me hard, really hard. I was doing two or three tasks at a time all day long, with minimal rest breaks. We were encouraged to eat snacks every hour and drink plenty of water. Working with Jessie during a PT session at CFX. I was nervous that they would push me “too hard” and I would be fried on Friday when I had to give my keynote speech. However, I felt absolutely AMAZING on Friday. I chatted with people all day long — which usually wears me down. I gave a great speech, and then I even went out to dinner afterwards! The true test was the following week when I went out to eat with a friend. It was a Saturday night, the place was packed, there was a ton of restaurant noise, and I was talking with my friend across the table. He stopped at one point and asked me, “Are you doing ok? Is this too loud for you in here?” He knew that this overstimulation would normally drain me down and I would eventually have to leave. When he asked me, I looked at him and was surprised that it hadn’t bothered me, not even a little!! It wasn’t until he brought it up that I even noticed. I noticed again this week while at a Starbucks coffee meeting with a friend that the crazy loud restaurant didn’t bother me! This was a HUGE breakthrough in my recovery! Another breakthrough for me was learning how much my attention (or lack thereof) was affecting me. During my intensive therapies the therapist pointed out how I am easily distracted and will drift away from my task at hand. Making a conscience effort to NOT drift away was a powerful strategy, and one that I hadn’t even been aware of that I was lacking. On the final day of treatment, I did another fNCI test to see where my improvements were. It was so amazing to see how all of my hard work had paid off! Almost every single one of my brain levels came up into healthy functioning levels, with the exception of my basal ganglia — which controls rudimentary cognitive and motor operations. However, I did come up in others areas of the brain related with the basal ganglia, so there is much hope that I can continue to improve in this area. I knew from my work with Dr. Schmoe that the basal ganglia was the main area I had damaged, so everything suddenly clicked into place and made a lot of sense. I am continuing to do my exercises at home, given to me by both CFX and MFNC. I am feeling better than ever thanks to these amazing clinics. 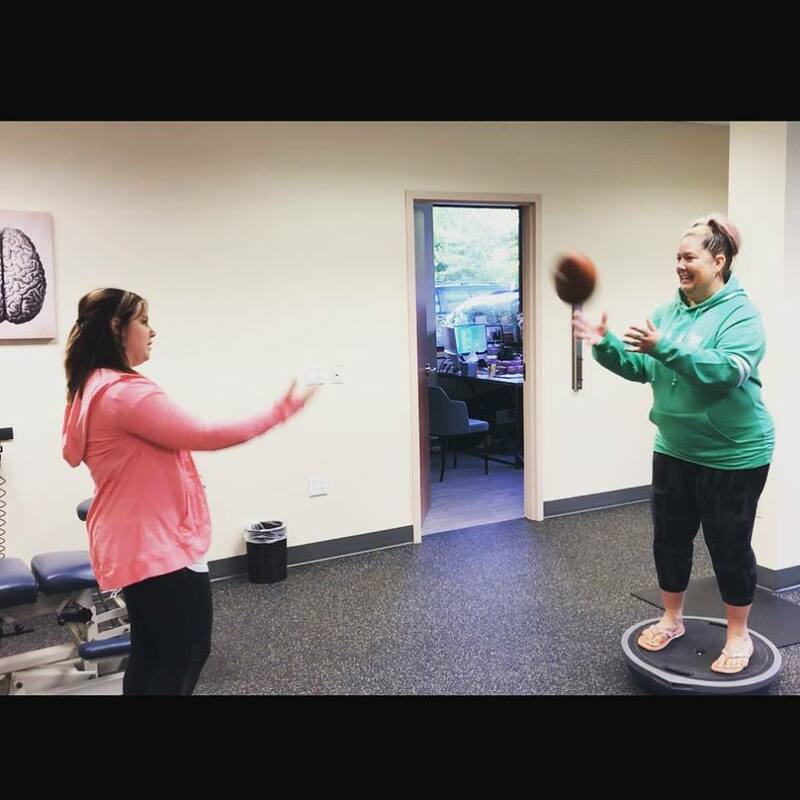 They truly understand brain injury and how it affects our different systems, and they also understand how to help our brains rewire themselves so that they are working most efficiently. Know that there is hope, because these doctors do exist!! Basically, when our brains get injured they respond to the trauma by rewiring itself around the damaged areas. This is why different processes in the brain can take longer than they did before our injury (word finding, attention, etc). What these clinics do is help our brains rewire back to the efficient route they were originally taking before the damage occurred, which in return should cut down our processing time. Without an intensive, targeted treatment plan, our brains will continue to take the route that they have created since our injury … which will leave us feeling sluggish, foggy, slow, and all around crappy. I am so thankful that there are doctors out there who are on the cutting edge of brain injury treatment, and who are dedicated to educating patients and other providers on how the brain works and how the systems are inter-connected. 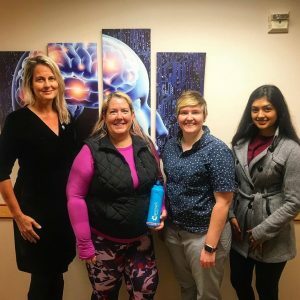 We need more industry leaders like Cognitive FX and Midwest Functional Neurology Center to elevate post-concussion care and continue to give out the knowledge of how our brains work and how we can continue to heal it, no matter how many months or years out you are after your brain injury.